← Mousetrap Machine gets rave reviews at Brook Forest Elementary! 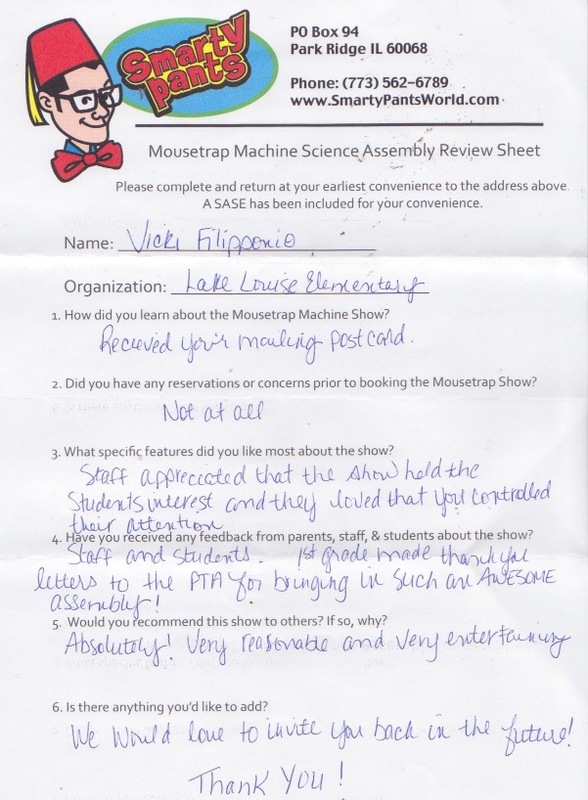 We always enjoy getting valuable feedback from school principals and PTA / PTO parents who book the Mousetrap Machine Science Assembly. After the assembly, we send our review sheet – here’s a look at one that arrived today!